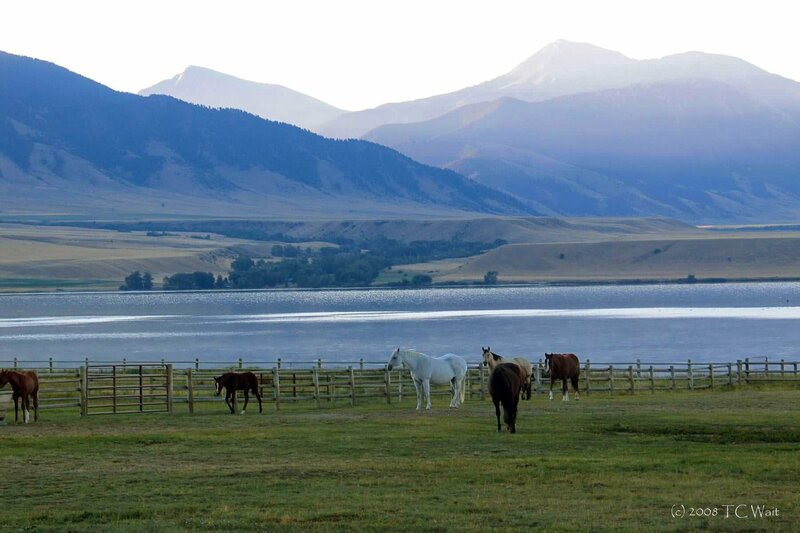 About an hour southwest of Bozeman, nestled in a scenic valley between the Madison, Gravelly, and Tobacco Root Mountain ranges is the enchanting town of Ennis. With fewer than 1000 residents, Ennis has all of the western character and charm you would expect from a small Montana town in the heart of prime ranch land. And with the first class trout waters of the Madison River running through it, Ennis is attractive to anglers, hunters, and adventurers. The Lewis and Clark Expedition first viewed the Madison River Valley in 1805. Later gold discoveries in the 1860s brought settlers to the area to found towns like Ennis, McAllister, Virginia City, and Nevada City along what is now Highway 287. For those looking for a quieter getaway with a small town feel, Ennis and the surrounding area are packed with things to do. Ennis is ground zero for anglers and premier fly fishing on some of the best trout waters in Montana. 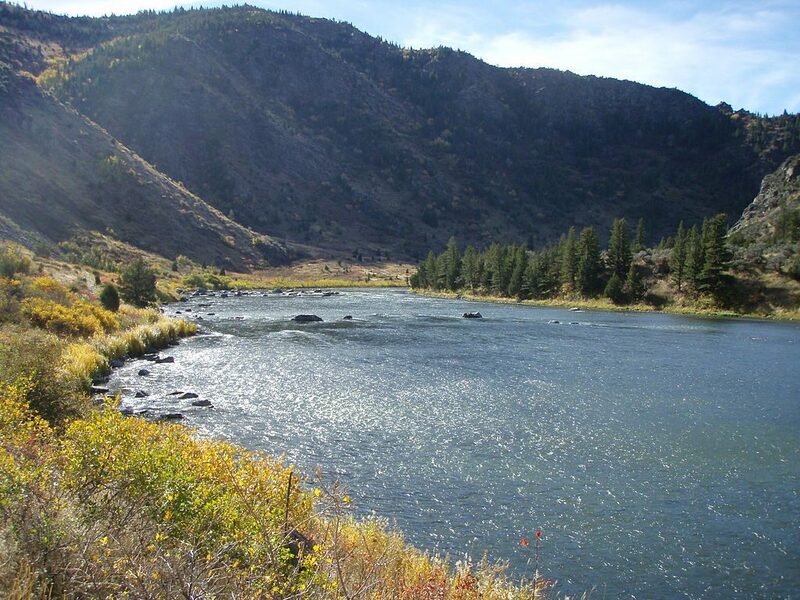 Whether you want to hire a guide, gear up on your own, or just talk fish, you will find plenty of inspiration at The Madison River Fishing Company, Trout Stalkers, or The Tackle Shop. The Madison River, as well as Big Hole and Beaverhead River, are known for populations of brown and rainbow trout and are fished either by waders or drift boats most of the year. Lake fishing is also available at Ennis Lake, Quake Lake, and Hebgen Lake, or more secluded lakes like Wade Lakes or the Ruby Reservoir a short drive away. The Ennis area has a multitude of areas you can explore by foot (or by horseback) including the Beaverhead National Forest (trailhead access is from Wall Creek, Bear Creek, or Jack Creek). The Bear Trap Canyon Trail winds along the Madison River and in many spots is the only access to the river through the Lee Metcalf Wilderness Area. Bear Trap Canyon, just north of Lake Ennis, flows through the Lee Metcalf Wilderness Area and provides a very low-use scenic tour of the remote canyon. Rafting through the wilderness area is by special use permit, so you will have to book with a permitted outfitter like Montana Whitewater. For the hard-core river rats, a stretch of rapids called the Kitchen Sink is a class IV-V whitewater and considered as one of the deadliest rapids in the state. On the west side of Ennis, the Madison Meadows Public Golf Course features spectacular views of the Gravelly Mountains and the Ennis area. The par-36 course was designed by golf course architect Frank Hummel. The course offers a friendly atmosphere with a full service pro shop, award winning PGA staff, and is considered to have the best par 5 hole in Montana. Ennis offers a wide variety of things to discover around town. The Outdoor Art Tour is a leisurely way to stroll through town and see how the fishing and cowboy aspects of the community combine beautifully. The Madison Valley Historical Museum will take you back to Ennis’ gold rush days with a working blacksmith shop, and you can discover the mysterious creature that terrorized the area in 1886. There are numerous cafes and shops to explore as well. 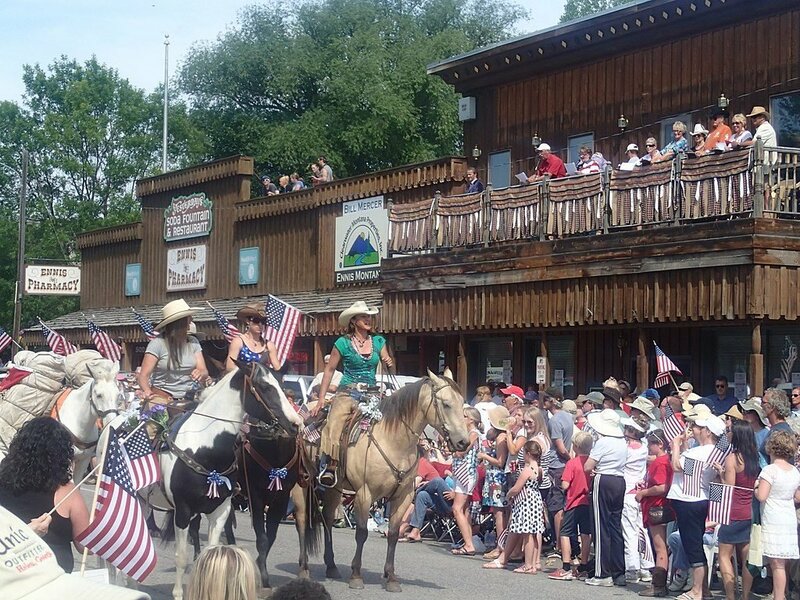 The town goes all-out for the 4th of July, with a parade, rodeo, and a duathlon (run/bike, the first leg of the Madison Marathon Trifecta events). On the third Saturday in May, Ennis hosts Tap into Ennis, the brewer/distillery festival (which coincides with the opening of fishing season), and toward the end of the summer, the Ennis Fly Fishing Festival celebrates a successful season. There are many boondocking areas around the Ennis area such as the Bear Creek Campground in the Beaverhead National Forest, or you may choose to stay at Ennis RV Village, Riverside RV Park, or Camper Corner closer to town. Yellowstone National Park is about an hour away, making Ennis a fun side trip along the “back road” to Yellowstone. The Madison Valley is a very pretty area with many small-town activities and great hiking, fishing and camping. We visit frequently and love the Madison River who’s headwaters start in Yellowstone and eventually flows north into the Missouri River. In the summer include a visit to Virginia City nearby over a scenic pass and stop by the ruby mines along the way. We have stayed by ourselves and with a group several times at Ennis RV Village and love it there. Ennis one of our favorite destinations! While in Ennis and if you have any service issues…… I highly recommend Mobile RV Tech in Ennis. I was in Glacier National Park traveling back to NY State when I needed service. Don is the best tech. that has worked on our coach! After the service we sat down with Bonnie and Don and enjoyed a Moscow mule….. The view from there yard is spectacular but I was really most impressed with how they did there own landscaping. Their yard is worth the visit alone. Ennis and area are amazing……with all the above plus don’t miss visiting the Woman’s Club “Nearly New” shoppe at the end of town! You cannot find a better friendly place/prices and wonderful nealry new finds….and all $$ Stay in the Ennis Area! An hour south of Ennis is the community of Island Park, ID. Another gem in the Yellowstone area.. attractions like Henry’s Lake, Big Springs (head waters of the Snake River) with Johnny Sack Cabin, Mesa Falls, and Harriman State Park. Lots of fishing and floating on the Henry’s Fork of the Snake River.